Tortoises in Galapagos Islands: Hatchlings found in wild for first time in more than 100 years. 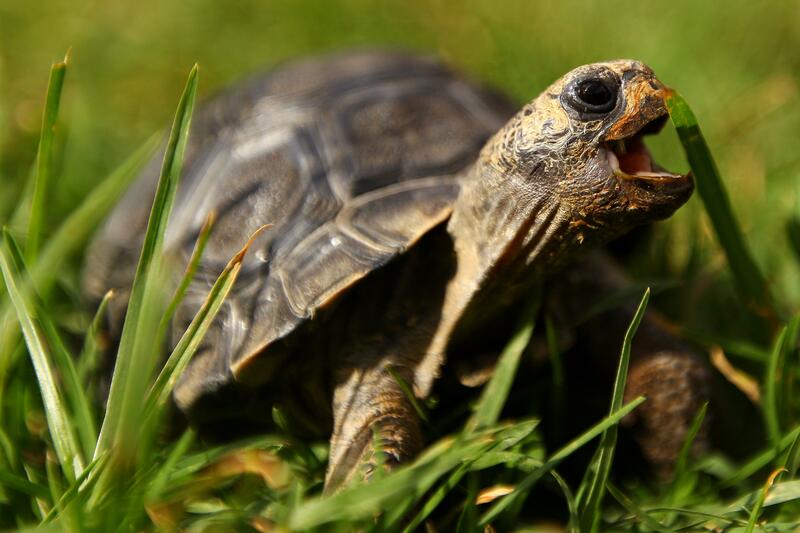 This tiny tortoise is in a zoo, but new hatchlings discovered in the wild on the Galápagos Islands could mean that endangered tortoises are winning a 300-year fight against rats. Researchers on the Galápagos Island of Pinzón have discovered newly hatched baby tortoises in the wild for the first time in more than a century, the journal Nature reports. The hatchlings are a cause for celebration among conservation workers, and their existence was only made possible by the total defeat of the dirty, dirty rats left on the island hundreds of years ago by whalers and pirates. Once black rats were introduced to Pinzón in the late 1800s, they preyed on 100 percent of tortoise hatchlings. This new bunch of “little guys” is one of the important results of the rat eradication campaign, tangible proof that with dedication, hard work, support, and heart, conservation efforts can effect positive change. In addition to waging war on rats, conservationists working with Galápagos National Park have put in 50 years of painstaking work gathering eggs to raise tortoises in hatcheries until the animals grow large enough to fend off the rats on their own. Rats have been wiped out on several smaller islands in the Galápagos, but their banishment from Pinzón represents a significant step forward in creating an environment where native species can return to pre-pirate numbers.